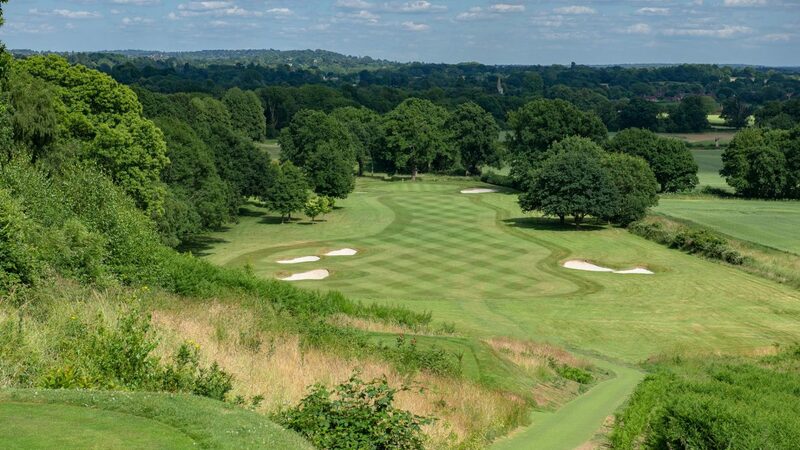 Nestling under the North Downs, and overlooked by the legendary Box Hill beauty spot, Betchworth Park Golf Club was laid out 117 years ago by the distinguished architect Harry Colt, who fashioned a delightful, yet challenging parkland course that has been enjoyed by generations of members and visitors alike. The 6,325-yard, par-71 course is maintained to a very high standard and, despite changes and improvements over the years, has been kept as close as possible to Colt’s original design. The first three holes stretch away from the clubhouse and offer magnificent views over the Surrey Hills. The signature par-4 fourth then drops down to the undulating valley floor, offering a thrilling tee shot and some wonderful views. Colt’s characteristic fairway bunkers are in evidence on most holes, while the greens are undulating and need careful reading if putts are to drop. The second nine works around the outside of the course, with challenges and views all the way. The uphill par-3 13th is a particularly memorable, while the 14th is a glorious dogleg par four with a burn running across the front of the green. The final three holes offer a terrific finish, offering rewards and challenges in equal measure, and requiring plenty of concentration to keep a good score going. The club prides itself on offering a warm welcome to visitors and golf societies, and has a wide range of package options to suit all requirements. The club is located off the A25 Reigate Road two miles east of Dorking. Golf academy and driving range; buggy hire (£25), trolley rental, pro shop.